Obituary for Vito A. Lauritano | Devlin-Rosmos-Kepp F.H. 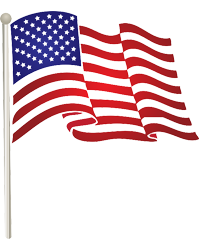 & C. S.
Vito A. Lauritano, 96, husband of Helen M. (Chasnocha) Vito of Phoenixville, PA passed away on Wednesday evening, August 29, 2018 at the Southeast Veterans Center in Spring City surrounded by his loving family, friends, and caring staff of the SEVC. Born on November 10, 1921 in Phoenixville, he was a son of the late Vito A. and Josephine (Leo) Lauritano. He served in the U.S. Army during World War II and then worked as a union carpenter. Vito was a member of Holy Trinity Catholic Church, VFW Post 1564, Polish Club, the Santa Anna Italian American Club. In addition to his wife he is survived by four daughters: Lorraine Lauritano, Kathleen Lauritano, Charleen Sullivan, and Shirley Donahue; 7 grandchildren: Heather, Brianne, James, Megan, Timothy, Rebecca, and Erin Marie; 6 great grandchildren: Jacob, Ella, Matthew, Emmy, Kylie, and Harper; sister, Josephine Wilson. Relatives and friends are invited to attend his Funeral Mass in Holy Trinity Catholic Church, 219 Dayton Street, Phoenixville, PA on Tuesday, September 4, 2018 at 10:00 am. Friends may call at the church on Tuesday morning from 8:45 to 9:45 am.